A contemporary art gallery for Adelaide has been a dream for years. But now, InDaily can reveal the detailed plans for an ultra-modern $260 million new building being pushed for the riverbank precinct. 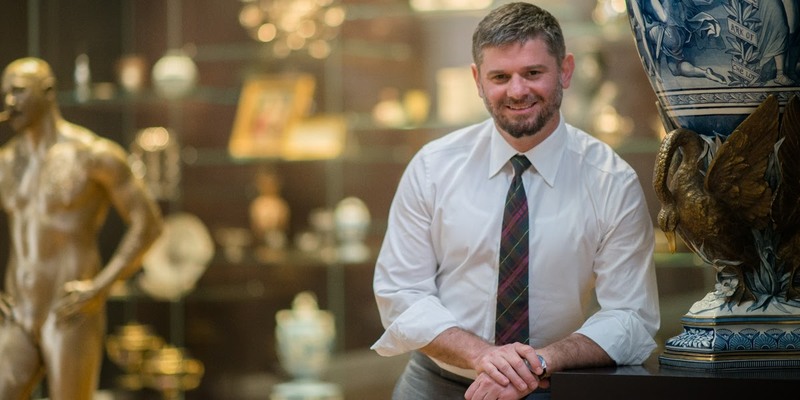 Art Gallery director Nick Mitzevich has developed comprehensive plans for a contemporary art gallery for Adelaide – a 27,000 square metre building that would become the city’s largest cultural institution, dwarfing the current gallery which is about 6500 square metres, and the Convention Centre, which covers around 15,000 square metres. He has flagged the broad concept for some time now but, as reported by The Advertiser earlier this month, the State Government is now seriously considering a concrete proposal and an economic analysis on a $260 million building, likely to be set on the Riverbank. However, what hasn’t been reported is what Mitzevich is actually proposing to fill the new edifice with – and he argues it is groundbreaking. The gallery – which has the working title “Adelaide Contemporary” – would have three components. The first would house the gallery’s entire 42,000-piece collection of works – there would be “full” access to the entire collection for the first time. These would be displayed in an innovative fashion, similar to the Multiversity Gallery in Vancouver (see below). The institution would become the first major Australian gallery to display its full collection. 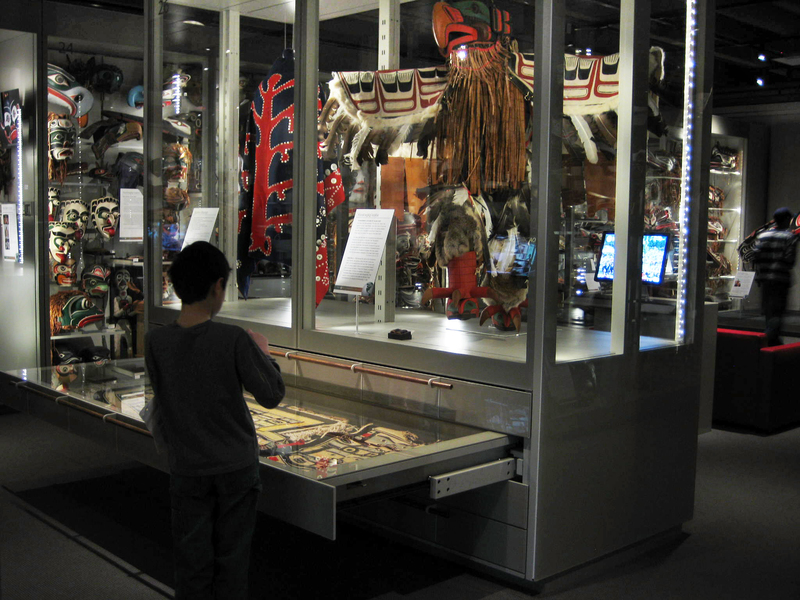 A child opening a drawer to view exhibits at the Multiversity Gallery, UBC Museum of Anthropology, in Vancouver, Canada. The second component would be what Mitzevich contends is a world first: a “gallery of time”, which would display Aboriginal, Asian and European works of art alongside each other in chronological order. Visitors could compare and contrast works from these three traditions which were produced in the same historical period. “Imagine a big gallery space, with a timeframe on the wall. Then we run three cultural parallels through it – and they’re the three cultural parallels that are the dominant force in Australia – European, Aboriginal and Asian. “No-one in the world is showing Aboriginal art in the context of Asia and Europe. And what’s interesting is that there are similarities and differences, and that’s where the magic happens. The third and final component would be a gallery of 21st century art, but it would expand the gallery’s traditional remit to include film, fashion and design alongside works of art. To attract national and international tourism, the gallery would commission major new works from leading international artists. 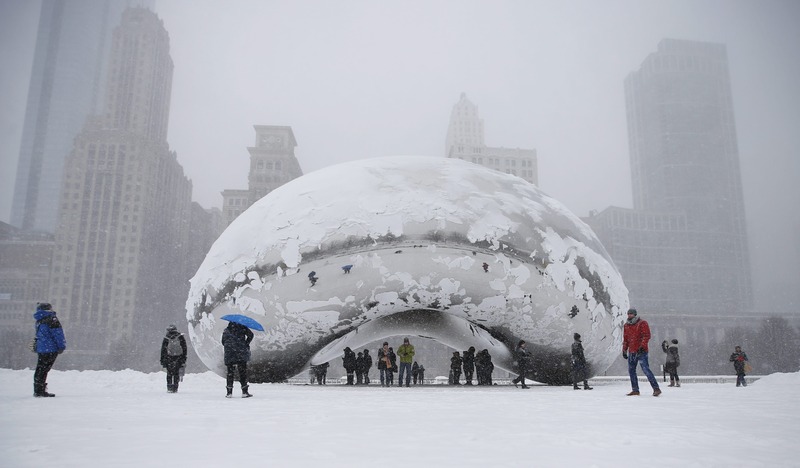 “We will commission international major works that are site specific. They will be installed as an attractor. We might commission a leading international artist to come here and commission a major site-specific work that would stay here for five years for example. The building would also include a large reception hall that Mitzevich hopes will host cultural events such as the Adelaide Fashion Festival. The building’s design would need to be striking and challenging, and Mitzevich clearly favours a location on the Riverbank, probably west of Morphett St Bridge. “The great thing about Riverbank is that it’s part of new Adelaide. It’s really constructing a new, important destination for the city. If this was to come to fruition it will be the first public building to face the river, and I think that’s quite symbolic. It would be the state’s first 21st century cultural building, so it’s quite a significant moment. He isn’t interested in replicating Tasmania’s wildly successful Museum of Old and New Art (MONA), or the often-referenced Guggenheim in Bilbao, except in terms of their economic impact. Rather, he wants Adelaide Contemporary to be a unique attraction that would bring in national and international tourists, as well as attract locals to the Riverbank in the down times when the Adelaide Oval and Festival Centre lay dormant. He also believes the gallery would attract private investors to the precinct, such as the long-touted new hotel for the Riverbank. Above all, he believes a landmark new gallery would make a statement about the “new Adelaide”. The Government says it’s early days for the proposal, but ministers, including Arts Minister Jack Snelling, are making positive noises. Mitzevich says it would be a wise investment for the city, and compares the benefits of investing in culture compared to the millions spent on industry support over the years. “I think what’s interesting about these kinds of proposals is that it is an investment, a long-term investment. We don’t have any qualms about supporting industries but we’ve seen in recent times they’ve exported those jobs and expertise overseas. With this it’s about the experience – the government’s investment won’t be exported anywhere, it will keep giving to the state for 50 or 100 years. The current art gallery would be freed up to display more of the institution’s huge collection of pre-2000 art. If the Government comes to the party, Mitzevich believes work can begin very quickly – which may be a very appealing prospect to the State Government given the imminent end of the massive new Royal Adelaide Hospital construction project. “If it was funded soon, we could move on it very quickly and turn dirt within 12 months and be open in the first part of 2019.